Attack On Titan canvas shoes hand painted sneaker. 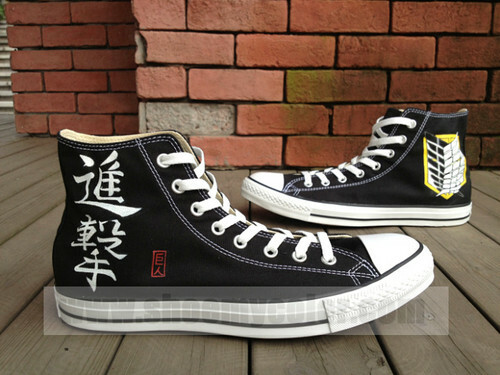 Newest anime shoes on shoemycolor.com, custom ubunifu shoes online for sale, zaidi at www.shoemycolor.com. Wallpaper and background images in the Attack on Titan club tagged: attack on titan titan anime shoes hand painted shoes canvas sneaker custom converse. This Attack on Titan fan art contains mbio kiatu.